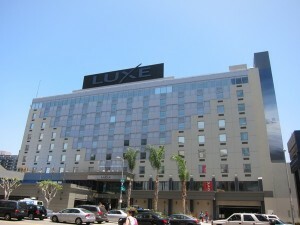 Barry’s Ticket Service is located downtown Los Angeles in the beautiful Luxe Center Hotel. Tickets to all Los Angeles events including Lakers Tickets, Clippers Tickets, Kings Tickets, Dodgers Tickets and all LA Concerts, Sports and Theater Tickets. You can pick up your Lakers Tickets, Clippers Tickets, Kings Tickets, Dodgers Tickets or any tickets you have purchased from there and be seconds from the Los Angeles Staples Center and Dodger Stadium. Barry’s Tickets is the offical partner of the Los Angeles Clippers, Los Angeles Kings and LA Galaxy. We sell tickets to all Concert, Sports and Theater events in Los Angeles and Nationwide. Barry’s Tickets Downtown Los Angeles office is located seconds from the STAPLES Center and Nokia Theater.